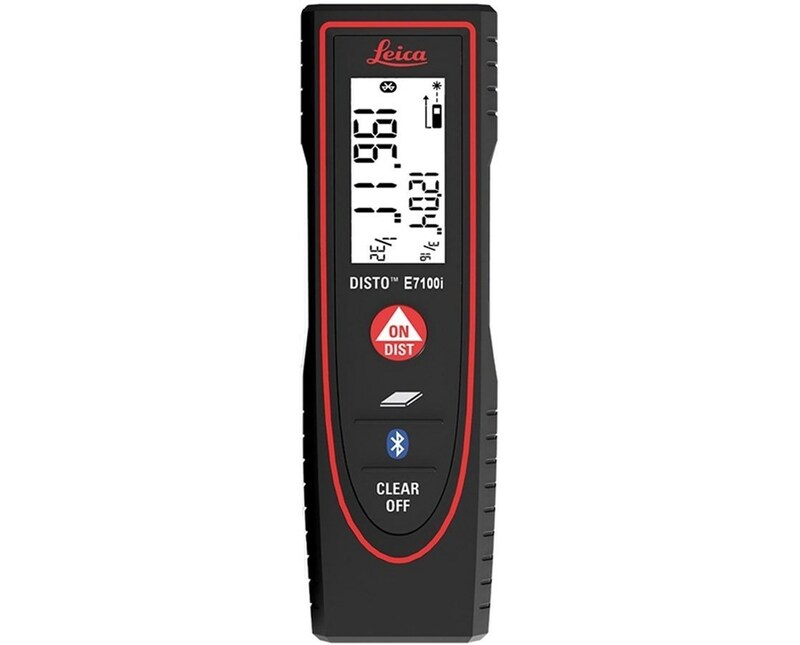 The Leica Disto E7100i Laser Distance Meter is the most compact and easy to user laser measuring device with the ability to sync with Bluetooth 4.0-enabled tablet and smartphones. 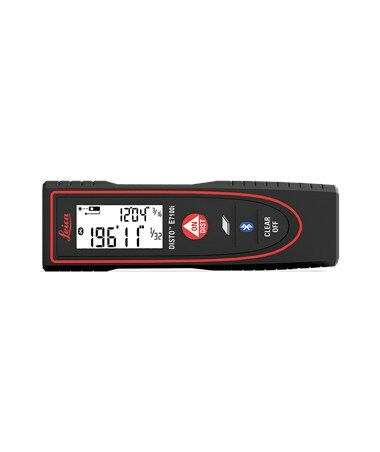 It features one-touch measurements, 1/16-inch accuracy, and 200 foot range which make it an ideal construction pocket tool. 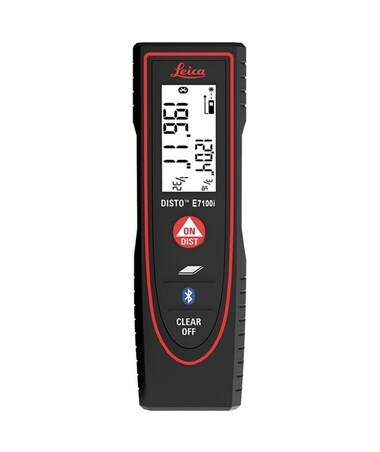 Measurement values or results are shown on the easy to read 2-line backlit display and can be saved into the device. 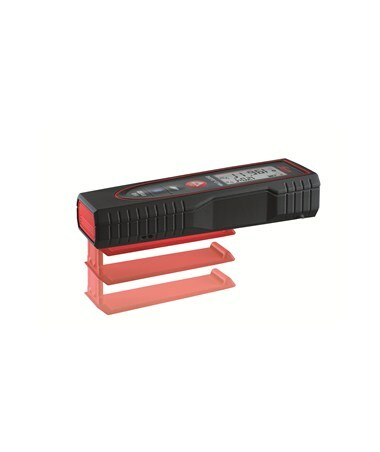 The E7100i construction laser allows quick measure distances, continuous distances and area in feet, inches or meters. When saving a measurement, an audible alert will sound to indicate that the value has been recorded. 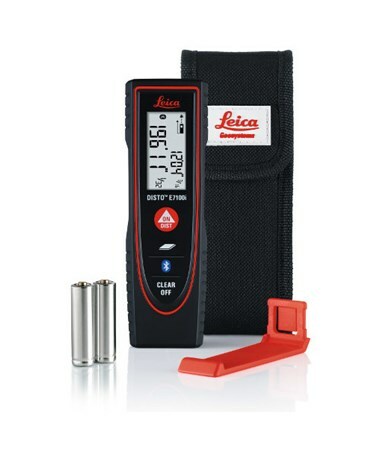 This Leica laser device is made of plastic and is IP54 rated which means it is dust and water resistant. 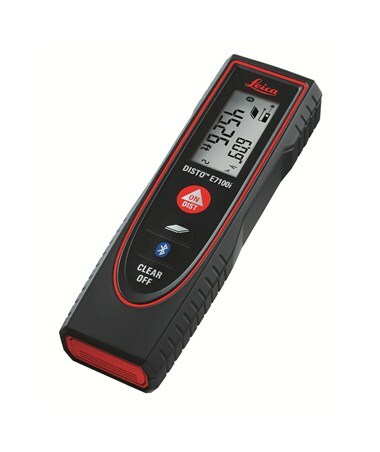 It includes a removable pocket clip and is powered by AAA batteries that allows it to take up to 5,000 measurements.